Welcome to Alicia Air Conditioning & Heating, the full service, factory authorized dealer providing Carrier sales, service and repair for commercial and residential HVAC (heating, air-conditioning, and ventilation) systems serving Laguna Beach. We are proud to offer a full line of Carrier air conditioners, heaters/furnaces, thermostats and more, from the world leader in state of the art, energy-efficient air conditioning and heating systems. Our expert knowledge and decades of experience make us especially qualified to sell, maintain and repair the best-rated HVAC systems available, available only to factory authorized dealers who meet Carrier's highly selective standards. Our dedicated workmanship, honest rates, and exceptional customer service have earned us thousands of satisfied customers, along with an A+ rating with the Better Business Bureau and an Angie's List Super Service Award. As one of the few companies that meet Carrier's rigid criteria for insurance requirements, liability coverage, EPA certifications, and employee training procedures, Alicia Air Conditioning & Heating can back every sales and service call with a 100% satisfaction guarantee. Our skilled workers are NATE-certified and extensively trained in the latest innovative techniques for installation and repair. Whether you require more energy efficient air-conditioning for your home or heating installation for your office, our experienced HVAC specialists can help you choose the best Carrier system for your needs and budget. And whatever model you choose, you can count on Carrier's industry-leading standards for quality materials, superior engineering and green technology. As a full service Carrier dealer, we can also provide quality service and repairs under warranty, using Carrier factory authorized parts. 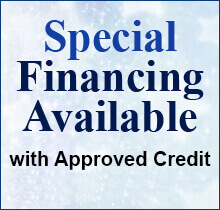 We also have access to special financing when available. If you'd like to learn more about Alicia Air's Carrier HVAC services in Laguna Beach, call us today for a free estimate on new installations. Family-owned since 1980, Alicia Air is Laguna Beach's trusted Carrier factory authorized dealer. We offer the complete line of Carrier's top-rated air conditioners, including the economical Comfort/Base Series, the quiet and energy efficient Performance Series, and the award-winning Infinity Series, which features the quietest and most energy efficient models available. Carrier's comprehensive line includes quality, reliable models to fit almost any requirement and most budgets, from compact units to super quiet, high capacity systems with intelligent control. The quality of all Carrier air conditioners is backed by a 100% satisfaction guarantee, and has been recognized by Consumers Digest and Builder Magazine. Every system uses environmentally sound Puron® refrigerant and is covered by a 10-year warranty. Alicia Air will work with you to determine the best air-conditioning system for your home or office. We will inform you of any factory incentives, rebates, or special financing. As a Carrier Factory Authorized Dealer, we meet their extensive criteria for technician certification, insurance requirements, and liability coverage. All of our fully licensed and insured technicians are EPA and NATE certified, and will arrive at your home or business in uniform ready to professionally perform air-conditioning installations. We work with you to provide convenient appointment times. To learn more about Carrier air-conditioning sales and installation in Laguna Beach, please contact us today. We offer free estimates for new installations. With over 32 years of experience, Alicia Air is Laguna Beach's trusted Carrier factory authorized dealer, and a family-owned, full-service heating and air conditioning company offering service and repair on all major brands. We provide expert Carrier authorized air conditioning service and repair at reasonable rates. Our comprehensive air-conditioning repairs and service will save you money by lowering energy costs and extending the life of your system. As a full service dealer that has met Carrier's rigid criteria for technician training, insurance/liability coverage and exceptional service, we can also provide services and repairs under warranty using factory authorized parts. Our NATE and EPA certified technicians have years of experience working thousands of jobs and receive ongoing training in the latest advanced service and repair techniques for Carrier air conditioning systems. We will perform your needed services with the utmost efficiency. Our technicians arrive in uniform and fully equipped, and will provide an upfront flat rate before beginning any work. Our 100% satisfaction guarantee ensures that you will receive accurate repairs and quality materials, along with the highest level of service. We offer convenient appointment times, and emergency service is available 24 hours a day, seven days a week. Call us today to learn more about Carrier air-conditioning service and repair for Laguna Beach. Alicia Air provides expert Carrier authorized air conditioning maintenance and 21-point tune-ups at affordable rates in Laguna Beach. Regularly scheduled maintenance ensures that your air conditioning system is functioning properly and at the highest efficiency. Alicia Air's Carrier authorized maintenance and tune-ups save you money on energy bills while preventing costly future repairs and extending the life of your system. All of our quality, affordable air-conditioning services come with a 100% satisfaction guarantee. As a Carrier Factory Authorized Dealer, we meet their selective requirements for technician training, insurance requirements, liability coverage, and excellent customer service. Our NATE and EPA certified technicians are all fully insured and have years of experience working thousands of jobs. They receive ongoing training in the latest advanced tune-up and maintenance procedures, so they have the best techniques to ensure that your air-conditioning unit operates at peak performance. Our Carrier authorized tune-up and maintenance specialists arrive fully equipped to perform a thorough 21-point precision checkup. We offer convenient appointment times, and emergency service is available 24 hours a day, seven days a week. For a free estimate on Carrier air-conditioning maintenance and repair in Laguna Beach, call us today. Family owned since 1980, Alicia Air is Laguna Beach's trusted Carrier factory authorized dealer. We carry the full line of Carrier's top-rated heaters and furnaces, which includes the Base, Comfort, Performance and Infinity Series, with 18 different models to fit a range of needs and budgets. From basic, economic units to models with the highest AFUE (Annual Fuel Utilization Efficiency) ratings in the industry, you can rely on the quality materials and excellent engineering of Carrier's heating systems. Carrier systems have even been recognized by Consumers Digest and Builder Magazine. Every system uses environmentally sound Puron® refrigerant and is covered by a 10-year warranty. As a factory authorized dealer, Alicia Air offers an exclusive 100% satisfaction guarantee. Alicia Air is Laguna Beach's trusted Carrier factory authorized dealer, with over 32 years of experience providing expert service and repair on all major brands. We provide expert Carrier authorized heater/furnace service and repair at reasonable rates. Our comprehensive heating repairs and services will save you money by lowering energy costs and extending the life of your system. As a full service dealer that has met Carrier's rigid criteria for technician training, insurance/liability coverage and exceptional service, we can also provide services and repairs under warranty using factory authorized parts. Alicia Air provides expert Carrier authorized heating/furnace maintenance and 21-point tune-ups at affordable rates in Laguna Beach. Regularly scheduled maintenance ensures that your heating system is functioning properly and at the highest efficiency. Alicia Air's Carrier authorized maintenance and tune-ups save you money on energy bills while preventing costly future repairs and extending the life of your system. Our quality, affordable heating services come with a 100% satisfaction guarantee. With over 32 years of experience and thousands of satisfied customers, Alicia Air is Laguna Beach's factory authorized dealer for Carrier commercial HVAC products and services. We provide comprehensive sales, installation, repairs, and maintenance for the full line of Carrier commercial HVAC (heating, ventilation, and air conditioning) products. As a factory authorized Carrier dealer we meet highly selective standards for technician training, insurance requirements, liability coverage, and excellent customer service. Our expert technicians are NATE and EPA certified, as well as fully licensed and insured. They also receive extensive ongoing training on every aspect of heating, air conditioning, ventilation and control systems, including the latest advanced techniques. We have the capacity to install Carrier commercial HVAC systems of any scale from new construction to one-server rooms in a diverse range of commercial properties, such as office buildings, strip malls, restaurants, light industrial facilities, churches, banks, and auto dealerships. Our repair technicians arrive on time wearing company uniforms and driving fully equipped service trucks with a large inventory of parts, so they are always prepared to complete any repairs promptly and effectively. We stand by our service with a 100% satisfaction guarantee and provide Carrier's extensive warranty on all services and repairs that use factory authorized parts. We offer after-hours and emergency response services 24 hours a day, seven days a week. To learn more about Carrier commercial HVAC products and services for Laguna Beach, please contact us today. We offer free estimates for new installations.